Teleradiology Service - ONRAD, Inc. Which teleradiology service do I need? Preliminary Teleradiology Reports answer a specific medical question (for example, whether or not a certain condition is present), and are not considered billable. The on-site radiologist must re-read the study and sign a more complete report, which is considered billable. Final Teleradiology Reports provide a complete interpretation of the patient’s exam, in which all relevant findings are included. Final Reports are considered billable. A teleradiology service that includes final reports is the most cost effective. When radiologists come to work in the morning, they can begin working with new patients instead of devoting additional time re-reading studies from the previous night. Teleradiology service customers may also find that they have additional time to spend with their patients. In many cases, final reports cost only about 10% more than preliminary reports. What hours is teleradiology service available? ONRAD teleradiology service is available every day, all day. Preliminary and final reports are available 24/7/365 with superior turnaround times that are unmatched in the industry. We are so confident in our turnaround time numbers that we post them online for everyone to see, every month. See our latest teleradiology turnaround times. What is your process for quality? Our reports aren’t just fast – they’re accurate.  ONRAD’s QA program is managed by the Quality Assurance Committee, which is made up of Dr. Alix Vincent, Chief Medical Officer and Dr. Samuel Salen, Chairman of ONRAD Inc., as well as five other members that rotate on a yearly basis. Through regular meetings and a proactive program, the Quality Committee ensures the highest quality teleradiology solutions for every customer. We release our quality percentages, too. See the teleradiology quality numbers. Learn more about our Radiology Quality Assurance Program. Where do ONRAD physicians read from? All radiologists are ABR certified and read from their homes in the U.S.